A few months ago I encountered at a conference an eminent Straussian scholar who teaches at an Ivy League institution, and he almost immediately launched into a tirade against “the Europeans,” who are at the point of “finishing Hitler’s work.” The only exception that my interlocutor would concede to this sweeping statement was for the English “who were never anti-Semites and who gave us Churchill.” A spirited English lady who overheard these remarks chimed in: “That’s because we expelled all the Jews in the middle Ages. There were none around for us to torment.” The speaker however didn’t seem to notice this injection of levity and went on with his diatribe. Although he hated the Germans in particular because of Nazi crimes, he was now coming to the realization that just about any of the continental European countries would have done the same thing to the Jews as Nazi Germany. Until a few days ago I assumed such a venomous outburst could only be heard from the most over-the-top neoconservatives. Although all members of this group seem to hate the Germans intensely, I did not believe this sentiment extended to other Europeans. After all, neoconservatives and Straussians do talk about something called the “West,” and presumably this concept or cultural community would have to include the Europeans. If this is the case, however, as I’ve now come to understand, the operative term only applies in a very limited way. Good Europeans are the ones who take orders from the American state department and the American media, or at least from those parts of these entities that are influenced by neoconservative policies. They are also expected to lament the Holocaust publically, even if those doing the lamenting bear no responsibility for Nazi crimes. Needless to say, the same good Europeans are expected to support Israel, by which is meant the politics of the Israeli Right. European newspapers or politicians fall immediately under the neoconservative imperial ban, if they criticize such practices by the present Israeli government as building more settlements on the West Bank. Despite the hate-speech I heard several months ago, I naively assumed until I listened to the Fox-Allstars on Tuesday evening that neoconservatives do their worst venting in private, or among other Jews or in the company of gentile underlings. Then I listened to Charles Krauthammer who, at the obvious urging of moderator Brett Baier, raged for five minutes, on the seventieth anniversary of the liberation of Auschwitz, against “the return of European anti-Semitism.” According to Krauthammer, anti-Semitism is the defining characteristic of European civilization (believe me that I’m not exaggerating the intensity of this outburst!). Although Europeans were “forced to be on their best behavior for the last seventy years,” now they have gone back to a trait they never abjured, hating and persecuting Jews. Soon “all Jews would be leaving Europe,” which Krauthammer thought was a fine idea, given that the French, Germans and Italians were about to lower the boom on the group they loved to hate. 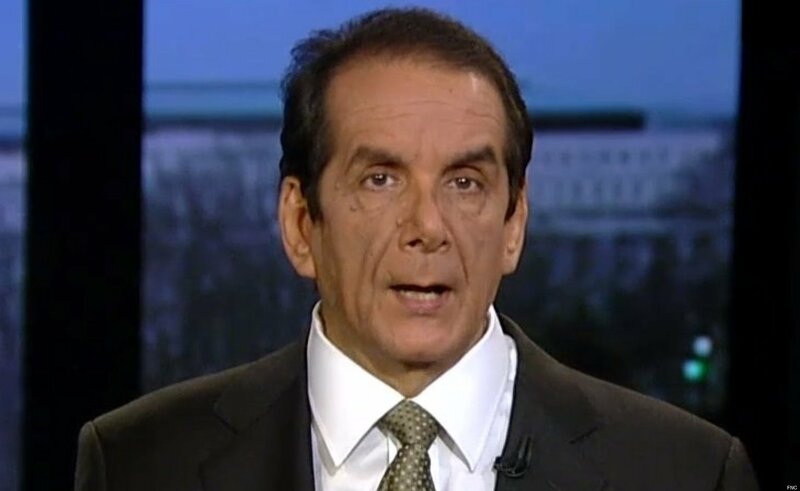 Aside from the hysterical hyperbole, which Krauthammer was energetically invited to engage in, what I found particularly upsetting about his performance was his refusal to tell us the full truth about the anti-Jewish feelings now on display in Europe. It most definitely is not coming from the nationalist or traditionalist Right, despite the repeated efforts of “conservative” commentators like Glenn Beck to associate Marine le Pen and the National Front in France with interwar anti-Semitism. What we are witnessing are the fruits of the triumph of the cultural left in Europe and what one French writer Renaud Camus, who is now on trial for hate speech in Paris, calls “le grand remplacement.” The French core population is being replaced by Muslim settlers from North Africa, with the help of their antiracist (and until recently disproportionately Jewish) backers. Jewish organizations and Jewish activists in France, Germany, Sweden and Italy were long in the forefront of this “grand remplacement,” the result of which has been the creation of “no-go “regions in European urban areas. Needless to say, such Jewish leftist politicians, who supported the creation of a French multicultural society, like Jean-Claude Gayssot, Laurent Fabius, Jack Lang, Jacques Attali, and Dominique Strauss-Kahn, have not had to suffer for their feckless policies. At this point ultra-Orthodox Jews in special garb or poorer Sephardic Jews are at particular risk in Islamicized districts, and more and more of them are voting for the National Front. But what we’re seeing bears very little similarity to the interwar situation. The anti-Semites are not Christian but overwhelmingly Muslim or secular, antinational leftists, and the European traditional Right has opposed the vast increase of a Muslim presence from the outset. The trouble with neoconservative observers and their friends in the liberal media is that they’re trying hard not to notice the obvious. They prefer to dump on rooted Europeans trying to preserve their national communities rather than to blame the European Left or an impotent European Center, which our political actors would like to have stay in power. American elites want a Europe that is subservient to what are perceived as American interests and most certainly a Europe that will not return to any right-wing or politically incorrect past. The American media also have a weird notion about the precondition for democratic government, a situation that the French author Michel Houellebecq takes swipes at in his latest, best-selling novel Soumission. According to the protagonist in this novel, the acceptable parliamentary politics have been reduced to an “alteration between largely indistinguishable parties of the center right and center left.” Both parties in Houellebecq’s work predictably collaborate in handing over France to a presidential candidate put up by the Muslim Brotherhood, lest the election fall to the rightist National Front. One can easily imagine such stupidity being committed by our faux conservatives in the US, who seem perpetually terrified of any real Right. And this may be at the heart of Krauthammer’s self-delusion, which may be described as a misleading paradigm fixation. He and his buddies cannot abandon the idea that the “enemy,” by which is meant their preferred foe, is on the anti-Semitic right. They have an existential need to believe that traditional Europeans are manifesting anti-Semitic habits they picked up a few thousand years ago. What these slaves to an outlived past do not care to consider is that the present violence is coming predominantly from non-Europeans and from those Europeans who loathe their European heritage. This particular crisis does not repeat an historical pattern. The only repetition is the recycling of an historical example that Krauthammer and other neoconservatives have trouble giving up. 40 Comments to "Do Many Neocons Just Hate All Europeans?" Krauthammer, Kristol, Schumer are not European, their heritage is Ukrainian – Pale of Settlement, despite the pretenses of a German surname, and their culture is essentially Yiddish, a southern balkan language linked to ‘sorbian’, essentially slavo-turkic in origin. Leo Strauss’s family had been in Kirchhain for some time, but the town did not have a synagogue until 1904. His family had then most likely been emigrants from the East, and his early scholarly emphasis was both zionist and theological. His sister married a Czech in Cairo. Krauthammer himself has family in Israel, is a devoted patron of similar cultural causes, and his father attended a zionist conference in switzerland which signalled the beginning of Irgun terror operations against the British in Palestine. The family seems to have moved west from Ukraine to Belgium and then to Canada as part of zionist political activities / agitation. The neocon intellectual movement then is neither european nor part of ‘the west’., at least in geographic or cultural terms. If what my respondent says is true, and I think he does make valid points, how does one explain the drooling servile devotion shown by American Christian “conservatives” to Krauthammer and his pals? Obviously there is something in what the neocons are saying that appeals to adherents well beyond descendants of those who inhabited the Russian Pale of Settlement. Hitler may have come from the provincial capital of Upper Austria but his followers included millions of people who never set foot in Linz. Of course many have noted the irony of the Ukrainian nationalists who use Nazi-like iconography and honor the memory of the Waffen-SS Galician Division now having the status of “good Europeans.” But then it’s likely that the vast majority of these “neo-nazis” are simply anti-Russian nationalists who have little interest in Jews or Israel. I think this insanity derives from believing a version of history where all the sin is on one side i.e. by filtering out things like the White slave trading centers in Moorish Spain and Ukraine/Crimea. how does one explain the drooling servile devotion shown by American Christian “conservatives” to Krauthammer and his pals? I think hbdchick is basically right on this. Groups with close blood ties tend to have a morality based on blood ties. NW Europeans used to have that but mostly* outbred to the point where instead they need to publicly create a communal morality. Krauthammer et al interposed themselves as the priesthood via mass media. Some of them even talk like hell fire preachers. I think the cause is actually paranoia but it displays as hate. Great article Professor Gottfried. 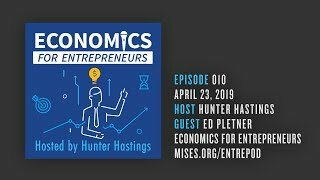 As you know, Kevin MacDonald contends that neocons are properly situated on the left of the political spectrum and pithily said “what neocons hate about conservatives is that they’re conservative at all”, or something to that effect. This, of course, gets us back to your point of their antipathy toward Europeans and I would add, to European Americans and their culture. I’d be interested in your take on the roots of this deep-seated hostility toward Western man and his culture. Kevin Macdonald is right that what neocons hate about conservatives, meaning rightists, is that they’re conservative at all. I’m not sure however that neocons hate “Western man,” providing they’re the ones who construct the appropriate definition. Although the neocons wouldn’t care for a Western civilization they couldn’t shape and run, they do approve most heartily of what they now call “the West,” that is, is a collection of formerly Western countries that are vassal states of an American empire under neoconservative tutelage. 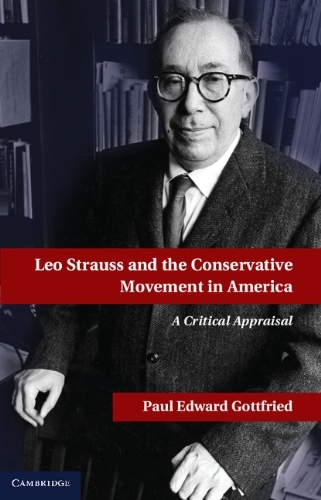 You have written on the dominance of neoconservative funding and writing in mainstream American conservatism. Any viable alternative like Pat Buchanan and Ron Paul is actively shut down by media blackouts or backroom dealing (i.e. Ralph Reed pulling support fro Buchanan, or the RNC denying Paul a platform). The neocons’ exoteric patriotism and American exceptionalism appeal to many conservatives, and their hostility to Europe would not cause much offense. Neocons are far better than open leftists at concealing their contempt for white Americans, and they offer the prospect of funding and influence to politicians willing to go along with their peculiar foreign policy obsessions. Perhaps most importantly, there isn’t any alternative. The average conservative sees a choice between a party that openly hates him, and a party that at least pretends to a sort of familiar patriotism. You know Gottfried is Jewish, right? So I don’t know why you are trying to deconstruct Jews from East Europe. secondly, the words British in Palestine should make it clear that the Irgun Movement is no worse. I understand criticizing hypocrisy and understand attacking neoconservatisms insane ideas of an abstract nation with Mass Latino Immigration and abstract imperialism, but your comment invokes an extreme hatred of Jews as a group: demonizing their origin and existence. You probably believe that Israel’s very existence is a problem (for some reason) not just Americas relation to Israel or Israeli expansionism, and that Jews have no rights to live in Europe or away from Europe: fascism. Good day. Prof Gottfried: you should check out Krauthammers criticism of linguistic multiculturalism (comparing it to his days in Canada between French Speakers and Enflush ones) and saying a huge different in the immigration is that monolinguistic Latino Immigration is totally different than small groups of Jews Poles Russians and Greeks and tried to imagine if there was Mono-Germanic immigration in the early 20th century and what said effects would be.) He’s intelligent and not totally wrong in his ideas. The most deranged thing is that neoconservatives is that they will refer to racism as “leftist” or “collectivist” and say they are the true bearers of the American Idea. the question is why should believing in a proposition mean that Anglo Saxons in the southwest being ethnically unbalanced by mass Latino Immigration, which is loyal to itself, and why instead of joining the Anglos as an olive branch of liberty, they insist on ethnically replacing them and as a matter of fact dominating them. But Krauthammer has to be given credit for realizing bilingualism is divisive, and mentioning how this would be just as undesirable if in the early 20th century there was mass German immigration. Well explained, Mr Gottfried. That’s certainly what it feels like listening to one American after another explaining to the UK what their options are in the upcoming elections. as opposed to pre-war, post-war, late 20th Century, early 21st Century…. there’s a full degree course in the subject! There seems to be so little in the news or on television that isn’t about, or presented in the style of, Jewish culture. Could that be a factor? Does anyone know why 70th? We haven’t even taken breath from mourning the losses in WW1. These Neo-Cons are total hypocrites in every way. They believe in proposition/abstract/ideological/New World Nation idea, while believing in the Jewish Ethnostate. 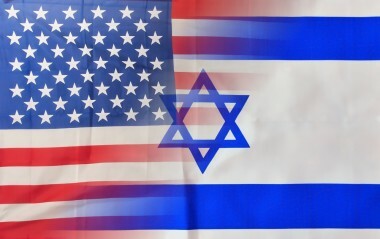 2.They claim that America is the best County in the world and only nation to ever be built on an idea rather than blood/language/religion (not really true) while insisting on exporting that ideal to ethnic or actual nations like Iraq or Yugoslavia, which would not make us the best in the world (unless the memory of progenitor is kept eternal.) 3. They are anti-totalitarian (against fascism and communism) yet see world in black and white, good versus bad, extreme way. No grays on Iraq. 4. They claim making countries democracies will mean less wars…while supporting wars to make them democratic. 5. They claim they are simply defensive but want to export democracy and attack small nations, not just defend US bloc and Monroe Doctrine. They want to get Syria and NK. They also want to expand USA after end of cold war, so much for anti-communism. 6. They are jingoless jingoists, pax Americana without the America which is ethnically destroyed by mass immigration, obese cheeseburgerism, and jobs overseas. 7. They conflate national security with existence of non-American countries, not empires or directly threatening one’s. Apparently their only appeal is to Jewish rightwing bourgeois cosmopolitan neoconservatives, since they hate “Europe” since they want Anglo “small govt and traditional America” ethnically eroded by mass immigration, hate “Islamism” hate “Maoism” hate “Communism” hate “socialism” hate “fascism.” They view Jew as Mover of History, in a way. But they don’t accept liberal Jews or socialist Jews, so it’s not just a matter of anti-totalitarianism. Agree entirely. the point is they appeal to “anti-Europeanism” which was provinicial, ultra right wing, anti-intellectual, anglo chauvinist origin, now its Jewish intellectual. The joke is that they want an American Imperialism without American-Ness. The question is why are they so insane as to want an imperialism and disintegrating southwest andmidwest? Why do they need it? Wouldn’t it serve them better to have strong folkhood at home? Also they are literally blind that America looks like obesity, mass immigration, and vulgarity. Thats what is seen. Not freedom or liberty. They are blind. They don’t understand that in Iran under the Shah the people who supported Khomeini hated the decadence, hedonism, and total sexual/disco culture of the west at the time (the seventies of bell bottoms.) that’s what they saw as the west: not an abstract. They’re batshit insane. They believe that freedom and democracy and west invokes 1776 in regular peoplet. How could it? That’s not what America looks like. Its our music blah blah blah. I guess abstracts are abstracts. But why would an abstract appeal to ethnic based people. Post-1960s Sinn Fein was a Soviet front, but found its support base in Catholic nationalism. Pre-1916 Sinn Fein was supported by Imperial Germany, but was republican and had the same base of Catholic nationalists. The Ukrainian nationalists are the same way, (many of which are “Greek Catholic”, Poroshenko is Orthodox). They are supported by Soros and the State Department, but have little in common. It’s the same “near-far enemy” dichotomy present in Islamism. Al-Andalus was a terrible place for Christians, as sharia forced either expulsion or conversion. This birthed the violent Reconquista. By contrast, the Muslim rulers did not consider Jews to be a threat, and many attained positions of great influence. Maimonides is the most famous example. Doubly offensive to the multicultural mind, is that after the Reconquista and expulsions, comes the Inquisition. What isn’t as well known about it, is that it was far less violent than the Protestant critics said it was. Thus, the “Black Legend”. It largely succeeded in removing subversives from the kingdoms, or produce actual conversions. The Communists can’t claim as much. Part of the criticism of Europe is that it didn’t assimilate Muslims (or rather assimilate to Islam). Thus, the criticism. Muslim violence is viewed as being caused by European “racism”, as the liberal mind has a disturbing idea that “subalterns” have no moral agency. 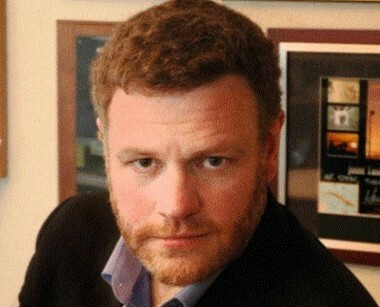 Below is a collection of VFR’s articles on Mark Steyn, which has been continually added to since the entry was created in January 2006. The articles are arranged in four categories: Steyn on the Islam threat, the EU, and immigration (though he never once talked about immigration until June 2009); Steyn and the Bush doctrine; Steyn general; and the Canadian Human Rights Commission charges against Steyn and MacLean’s magazine, with the entries in each category listed chronologically. Hi. I’m Charles Krauthammer. I support tough immigration laws for Israel, but open borders and mass immigration for the USA and Europe. My calendar says it’s always 1939 and the white goy is our #1 threat. It’s germane to note that Krauthammer isn’t Rubin or Adelson. Hell, even Bill Kristol says positive things about cultural conservatism these days. Steyn did it knowing very well that his” gloating” will evoke strong anti Muslim sentiments which then will produce reactions responses,and domino effects. He is very skilled like other neocons in setting one hapless set of people against another . He does what Flemming Rose does in European cultural context under the guise of freedom of expression. Here the cloak is multiculturalism and diversity . But it is all about being the top dog and in full control but without raising any suspicion or ire and possibly earning him and his ilk the respect and adoration . I wished you would have read my comment. Krauthammer literally in an essay critiqued mass bilingual immigration and monolitic mass Latino immigration and compared it to his days on Canada when there was language separatism between french and anglos. He also (rightly or wrongly) said imagine instead of the small variety of ethnic groups that came in the early 20th century we had monolithic german immigration. The same problem. He is smart not a dumbbell neocon. I’m guessing you’re using this to justify pan Arabism or some other inversion of neoconservatism that has nothing to do with the benefit of the USA or Europe. How about supporting a two state solution instead of the hypocritical “israel can’t exist” even though the land was also occupied by crusaders from Europe and is a small slice of syria and the borders arbitraty. With america deconstructing, why blame the neocons for setting up a spare nation-passport for themselves. Its not their fault the others can’t organize or fund a media, political party, or any meaningful collective self defense. His mouth is open . He is always breathing through the wrong passage . I am sure he does same thing for thinking using the wrong pair ( not the brain hemispheres)– which he hadn’t grown – to think and pontificate. It begs the question – why use FOX when the public toilet would give him a better podium. To be fair, Israel (stupidly) annexed the West Bank and Jerusalem from the Hashemite Kingdom of Jordan in 67, adding a whole new dimension to the Palestinian Question and basically creating Palestinian Nationalism (the PLO in the 70s etc etc) because before that Palestinians were part of panarabism and loyal Jordanians Syrians etc etc. respecting Lebanese Maroniteness, Israeli Jewishness, Jordanian Arabness, and Palestinian Nationalism depends on sharing the lands, the borders are arbitrary. 1. Started as Trotzkists. Provoked WWI (V.Cowles, The Russian Dagger, p. 281- Who planned Sarajevo, to – trial of Radek). 2. Differ from Lenin, proclaimed that entire world culture must be destroyed, otherwise communism cannot be built. Urged world revolution, the Trotzki’s “permanent revolution”. 5. Participated in espionage for Russia, atomic spies. 6. After 1980 changed name to neo-conservatives. The same goals – destruction of culture, religion, etc. 7. Urged the war against Iraq. TV interviews with Richard Perle and Charles Krauthammer, astonishing. 8. Organised invited invasion of Moslems into Europe. Exactly at the same time – kept Salmon Rushdie on TV around the clock to trash Moslem religion. 9. Changed Israeli policy. Previous policy was to spy in US for Russia and – in Russia for US, so – keeping two friends. New policy – all against Russia. 10. 1991. Pushed US to communism, Russia – to capitalism. US lost its freedom, Russia lost its economy. 11. Changed the direction of attack on Russia. Previously it was from the Iran-Afganistan direction, currently – from Ukraine, a shorter route. Trotzkists-Neocons are jews who hate; just that. They have no friends in any culture, they deceive one after another and provoke war on all sides. They are the destroying power, period. Based in US, they hate US. They lead Israel to the certain disaster. They hate Ukrainians (their old enemies) way more than they hate Russians. Wait until poor Ukrainian idiots find that out. I’m coming to the conclusion that by far the biggest problem is secular Jews, as opposed to religious Jews. It is secular Jews who have made a sick, morbid religion out of the holocaust. The problem is that Jews are probably the most ethnocentric group on the planet, and there are two kinds of group identity: positive and negative group identity. Without the positive ethnic marker of Judaism, secular Jews are left only with negative ethnic markers, which tends to be a suspicion, and even hatred for, non-Jewish whites. Neither does it matter how non-Jewish whites feel about Jews. I recently saw a stunning poll on religious attitudes on America. Jews dislike Evangelicals more than they do the Mohammedans. Another great Paul Gottfried article. His writing is always outstanding! This is a lie. you know nothing about Yiddish, or about Jewish culture. Why you are so opposed to kicking out Jews to Palestine miles away, eludes me. Because you “care” about the Arabs? Aryan-Warrior. Because a sliver of Syria sorrounded by Arab states 10 times it’s size is so contemptible. I mean if it was in England or Poland, said state, (actually before 20th century it basically was in large parts of Poland) could be disgusting to you as a “White Nationalist” but in the middle east. I’m not talking about supporting all Israel’s policies or Israel expansionsm, or having America foot the bill and intervene, but the idea of Israel existing far away filling you with disgust shows a real irrational thing that I can’t explain. I see nothing wrong with hedonism and dancing. The Jewish obsession with the Jewish questions is quite natural, even when the obsession is hostile. As a foreigner , I am astonished with the “Jewish conspiracy” discussions in both right and left circles. The obsession ridiculous as the Republicans lose their influence. And the search of the Jew in the defeated camp will help the common victory! hate speech about neocon hate speech. All the Yiddish words I’ve heard so far sound like slightly modified German words. Please correct me if I’m wrong. You’re not. Two-thirds of Yiddish is Middle High German. If memory serves, one-sixth comes from Biblical Hebrew, and the rest from Eastern European countries where the Jews ended up (Poland, Russia, the Ukraine, etc. ), after the Romans dumped them in the Rhine River Valley.